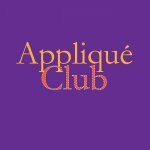 Do you love to applique? This group of ladies meets here once a month to sit and sew together. There is no instruction or lesson just women enjoying each other's company while working on their personal applique projects. 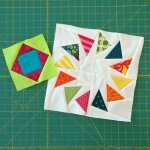 Learn how easy and precise Foundation Paper Piecing is! Learn and practice the basics of this technique by doing a simple Square in a Square block which will show the precision this approach affords. Then move to a fun and stunning pattern called Circle of Geese that is sure to delight! Patterns and foundation paper will be provided. Do you know how to sew but are interested in sewing a quilt? Do all the shapes and pieces scare you a bit? Join Meechy and learn each of the different blocks while you make your first quilt. When you are done, besides having a finished quilt top, you can handle most quilt patterns you will find. You have taken the class and now you are ready to quilt those tops that have been waiting for you. Sign up for the day - bring your tops and backings and get 'em done! Want to longarm your own quilts? Come rent our machine - but first you need to take the Longarm Training for Rental Class so you can load your quilt and get those tops done! Lynn will get you quilting before you know it. Come join Bettepat and 50 of your new closest friends for a bus trip you will never forget. Join Meechy on the 3rd Wednesday of every month. Bring your own project and enjoy this time to sew with friends. You purchased your Handi Quilter from Stitched with Love so you belong to the elite "Owner's Club". Join us the 3rd Saturday of the month for breakfast and conversation - a great time to meet others just like you and to learn from their experience and share your own. Would you love to make your own zipper pouches, but just don't know where to start? Are you afraid of zippers? Come attend this two session boot camp with Natalie and learn everything you need to know about sewing zipper pouches. This sold out last time - do not miss it!!!! Come "shop" in others stash! What a great way to fill our your own stash or find that jelly roll you have been hunting for forever.